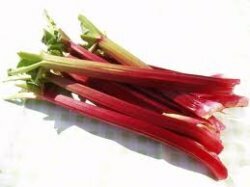 Rhubarb is urgently required by Crossfire Trust charity. ‘It is a simple way for the community to be involved in helping others as someone’s surplus can feed others at no expense to themselves’, as Director Ian Bothwell explains. The project is part of the Crossfire Trust Care Programme which residents and volunteers of the South Armagh award winning charity will use the donated rhubarb or other fruits to make jam and in the process develop personal life skill. The charity is having to find new ways of putting food on the table as the Housing Executive have reduced their benefits for housing which means individuals, especially those under 25 years old, can be left very vulnerable. Long term the charity wants to develop the grounds of Darkley House to produce fruit and this will be an ideal area for horticulture. Any unwanted crowns of rhubarb or other plants can also be collected.